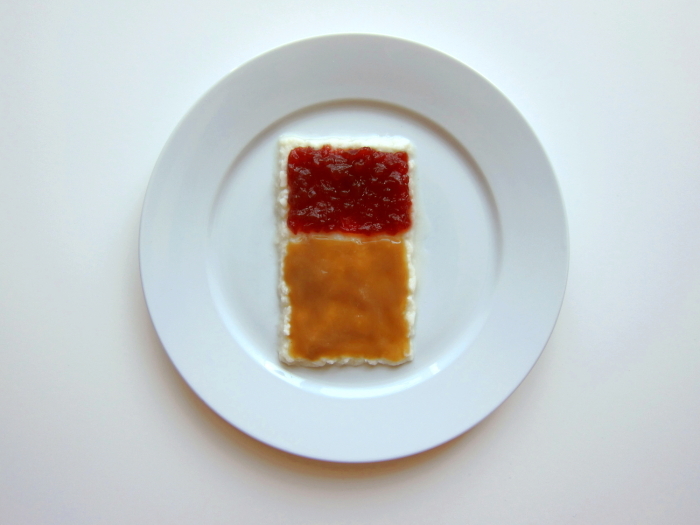 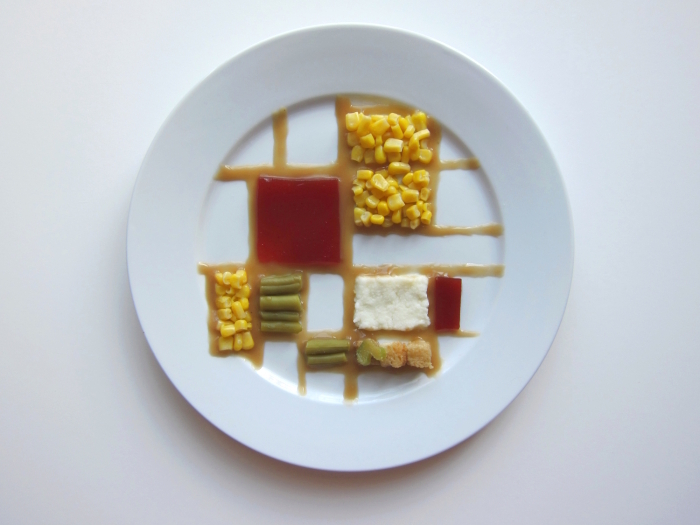 Hannah Rothstein’s parents probably encouraged her to play with her food. 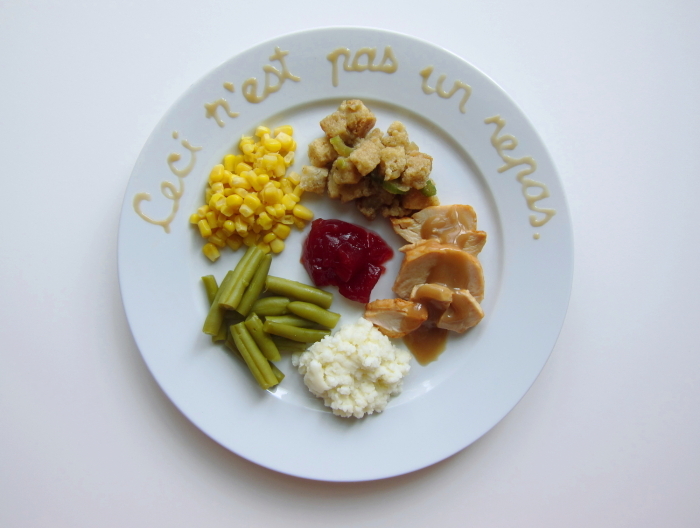 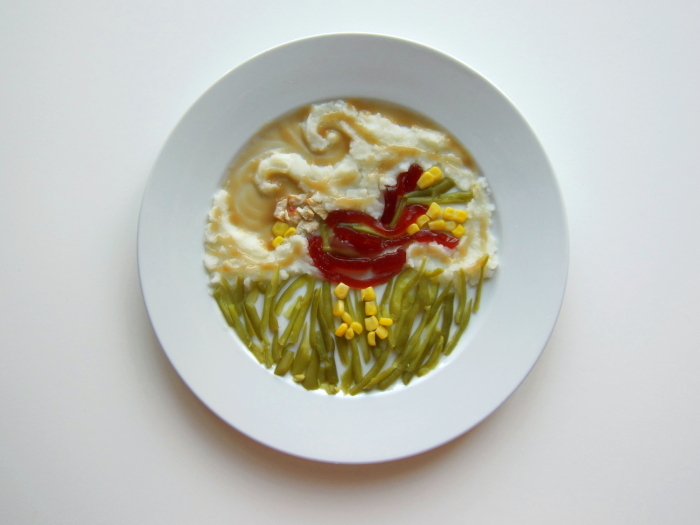 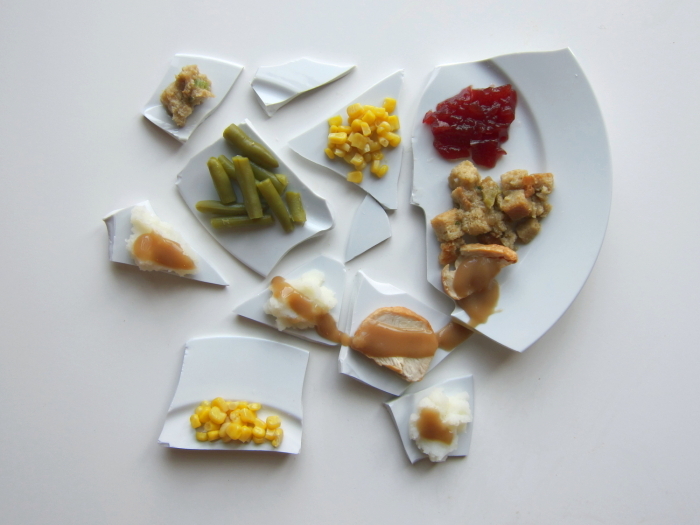 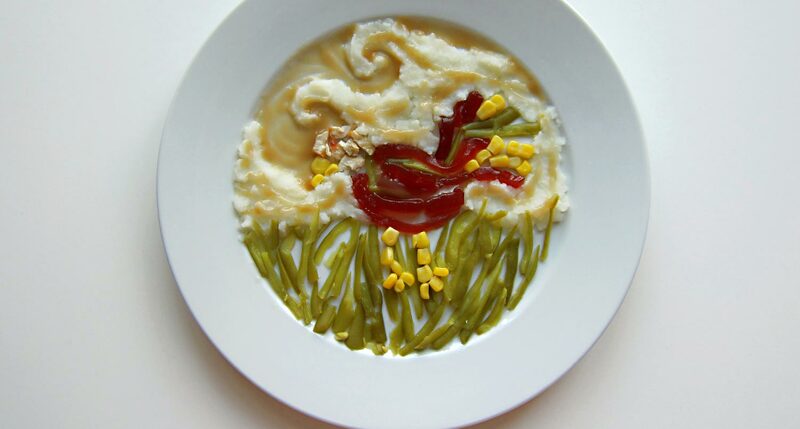 The San Francisco-based artist created 10 portraits of Thanksgiving dinner as would-be designed by famous artists. 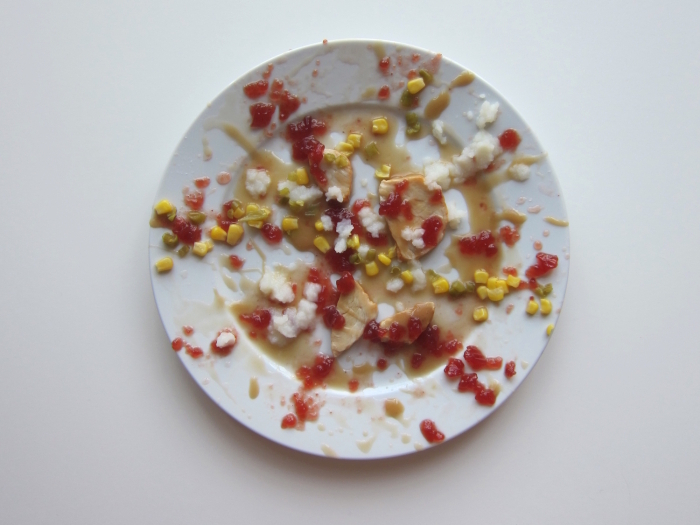 Pollack splatters the plate like a 2 year old, Mondiran restrains himself to a linear feast and Rene Magritte insists “This is not a meal.” To see all 10 visit the artist’s website. 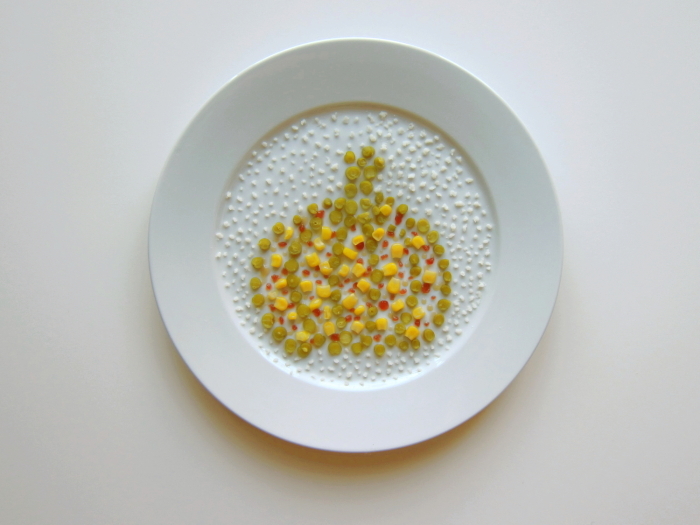 Prints are available, and Rothstein is donating 10% of the profits to the SF-Marin Food Bank.